Look here step by step, how to scan a document on the HP Deskjet 3050 printer if you have any other questions, type a comment. To scan a document or images from the HP Deskjet 3050 printer can do this using several methods described below, but more important is to be installed without presenting any mistake like electrical cartridges or they may obstruct the functioning printer. With the printer will be easier when is installed full scan drivers, usually get all software downloading from the manufacturer's website.It is when will be installed the manufacturer's software to perform scanning of documents called HP Scan, the same if you have not installed can be downloaded from the manufacturer's website and install and use the part where it is copied from the printer and flatbed glass. The scanner or method of doing this varies lot depending on what the need, there is a method of scanning images, of course you can not scan these PDF documents, another is when we scan a text document and then modify it, it must be scanned PDF format obligation. We have said that is called HP Scan and this is software that is installed when we install the complete driver or from the CD that brings the factory team. Save like PDF / Save like JPG / Email like PDF / Email like JPEG / Save like editable text (OCR) / Scanning daily. With the HP Scan tool to scan from the options above, you can also choose a file finalized to color or black and white. 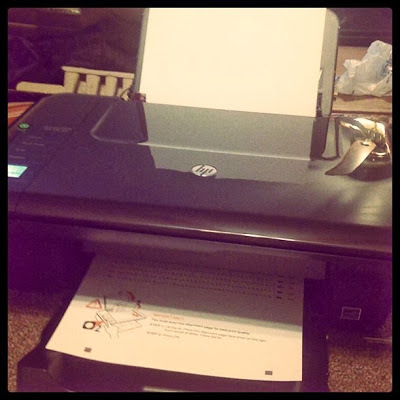 Other methods exist to scan a document from this printer are independent HP software, for example paint can scan using the software, it can also scan any document with the attached printer using the Windows viewer.